Three NZMA students have returned inspired from the International Management Institute of Switzerland this week, after fulfilling their Student Ambassador roles and learning more about the career options open to them. 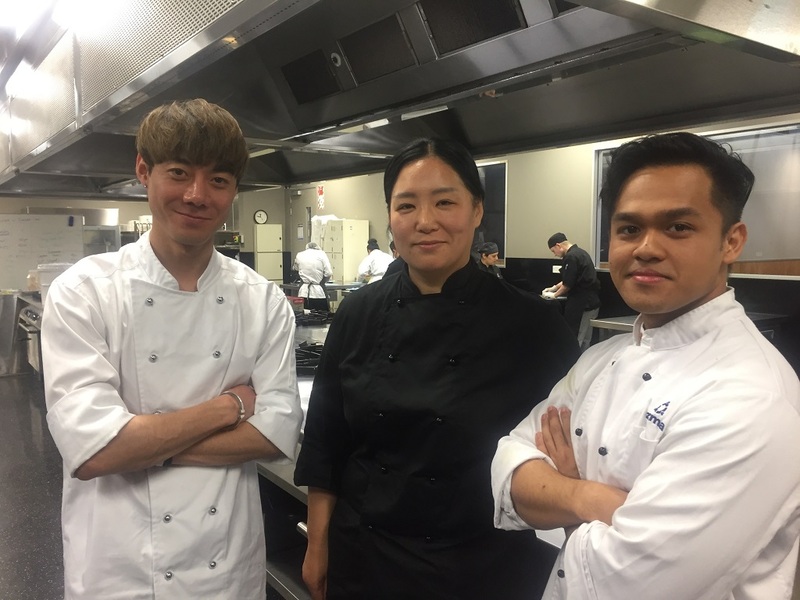 YoungChan Chai (South Korea), Jiyoung An (South Korea) and Marion Josef Apin (Philippines) have all undertaken the Professional Cookery Level 5 programme at NZMA, and are now considering their career paths after seeing first hand what the Bachelor in Culinary Arts offers at the institute. NZMA has a partnership with the International Institute of Switzerland, and students can earn credits towards their Bachelor degree.